Outgoing Moderator of the Presbyterian Church of Ghana, Reverend Professor Emmanuel Martey is the man who rejects every lucrative offer–including one to become the Chairman of the useful National Peace Council. 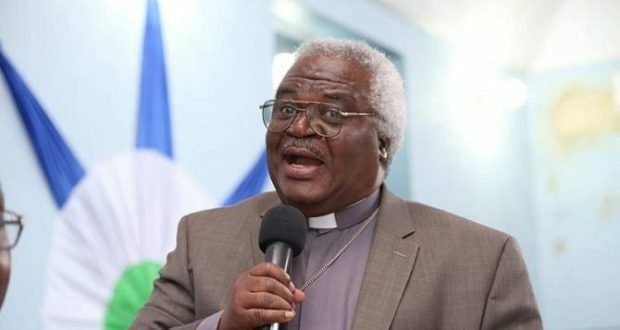 Reverend Professor Emmanuel Martey has also said he rejected a 100,000 dollars and a mansion with a swimming pool offer from a political party–but he can’t tell us the name of the party or people who made the bribe offer. Now, he has told SL religious affair’s correspondent-Samuel Ampaw that he has in the past rejected an offer from God to become an Angel, the same offer Bishop Obinim was granted and he accepted. Not only that, before God’s offer came through, he had been asked by Jesus Christ to take an offer to become a saint, something like Saint Paul, but he also refuse that offer. According to him, he’s not a YES man–whatever offer is made to him, he will refuse it. For he likes to make offers, not people coming to him dubious offers.